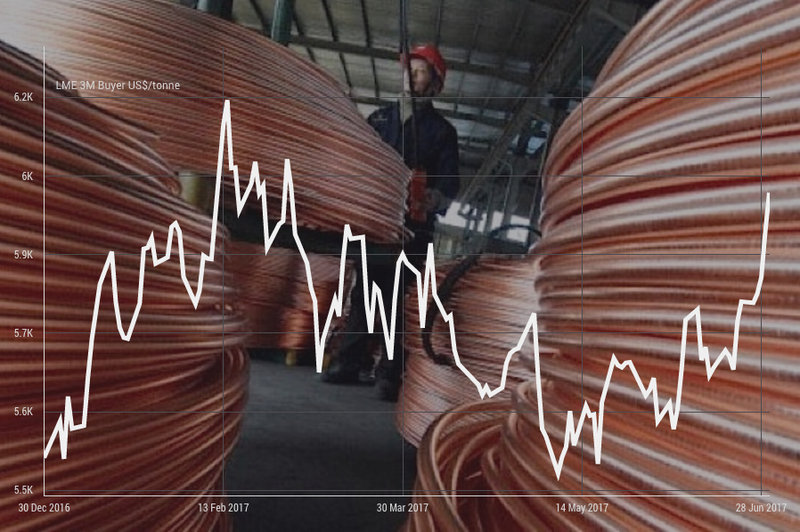 Copper futures trading on the Comex market in New York rose for the eighth straight day on Friday on renewed optimism about growth in top consumer China and a weaker dollar. Copper for delivery in September jumped to a high of 2.7185 a pound (just shy of $6,000 a tonne) in afternoon trade, up 5% for the month and nearly 8% during H1 2017. 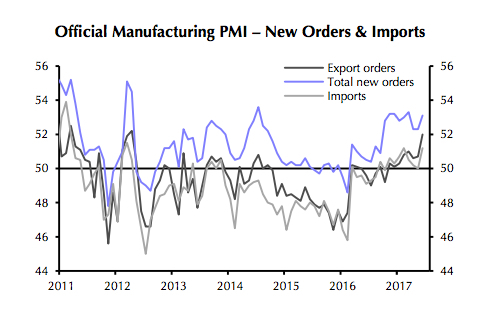 Chinese manufacturing data comfortably beat expectations in June with Beijing official manufacturing PMI rising to 51.7 from 51.2 (a reading above 50 indicates improving operating conditions) against predictions of a decline for the month. Business conditions were boosted by a pick-up in both exports and domestic demand which rose to a four-month high. Concerns about deflation and downward pressure on commodity prices also eased with the underlying price components of the gauge reaching levels last seen in December. The official non-manufacturing PMI also improved, rising from 54.5 to 54.9, with the breakdown pointing to improved conditions in both construction and services. The entire base metals complex enjoyed a good week with zinc up 1.8% to the highest level since March at $1.25 a pound ($2,756 a tonne). Lead gained 2.7% to $1.03 ($2,275 a tonne) while nickel prices surged 3.5% to $4.23 a pound ($9,342 a tonne).